8 Limbs Yoga | 8 Limbs 20 Years: It’s Party Time! 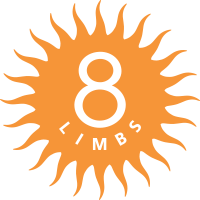 Over the past 20 years there have been several assumptions and a few metaphors attributed to the name 8 Limbs. Some think it refers to a pregnant person – the 8 limbs of a parent and baby. Others got confused by our proximity to the bar Six Arms, just two block down E Pike St. Some wondered about an octopus with eight tentacles ready to grab you. And then there’s the spider, weaving its web. When I think of 8 Limbs as a whole, a web is what I see. Not one that traps, but a web that has become a hammock of support for a wide community of beings spanning two decades. 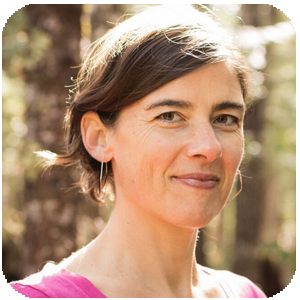 In the past 20 years, 8 Limbs has steadily grown from one room on the second floor of 500 E. Pike St. to 4 locations with 6 yoga rooms, 4 boutiques, an office of 7 admin staff, 4 Studio Managers (welcome to Monika Jolly our new West Seattle manager!) and their Yoga Advisors, over 50 Teachers, and countless Workstudy helpers. We’ve developed a learning culture in both our offices and our yoga rooms. And we’ve had amazing experiences along the way. This month we hone in on this wide community we’ve built, one that includes YOU. We are hosting our 20th Anniversary Celebration all day Saturday October 15. See details below for this day of free classes and a PARTY. We hope you’ll join us! Post your own anniversary images or memories on Facebook (tag 8 Limbs Yoga Centers), Instagram, or Twitter, with the tag #8limbs20years. We’ll give away a 10 class card to one lucky winner on November 1. See you on the 15th! Lastly, I have just entered the blogosphere as a contributor to Huffington Post. You can read ( and “like” and share!) my first post, Yoga Questions, 1996-2016. I will focus on yoga, the intersection of yoga and business, and life/work balance. I welcome suggestions for future posts! See you all on October 15!